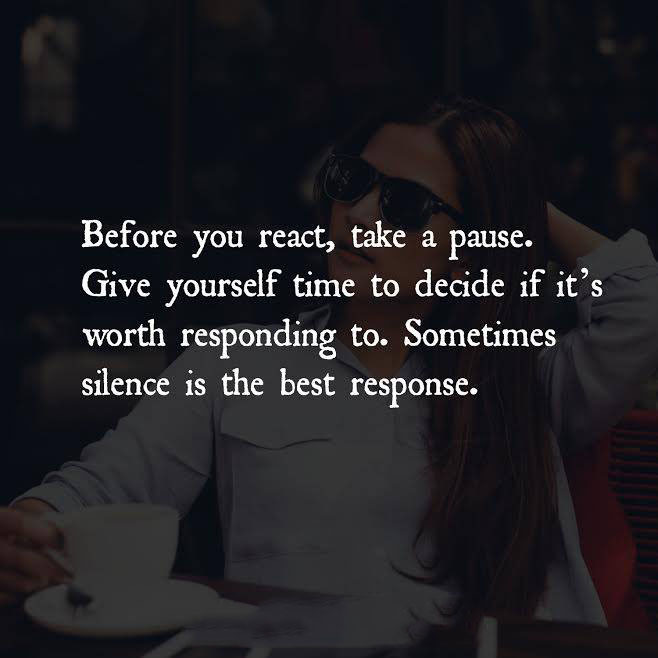 BEFORE YOU REACT, TAKE A PAUSE. GIVE YOURSELF TIME TO DECIDE IF IT IS WORTH RESPONDING TO. SOMETIMES SILENCE IS THE BEST REPOSE.